If you own a personal watercraft or any type of boat, you need insurance. Florida law doesn’t require you to carry insurance on your watercraft the same way it does your car, but this doesn’t mean you should forgo insurance for your boat. Here are some key considerations when shopping for boater insurance. If you strike another boater – or worse yet, a swimmer or scuba diver – how will you pay for the injuries you cause? If you operate your boat without liability protection, you can be held personally responsible. This means the injured person can sue you and obtain a judgment, allowing that person to garnish your wages or put liens on your assets in order to recover their damages. What if you fall overboard or suffer severe injuries while operating your boat? Are you confident your health insurance will take care of all your losses? Remember, health insurance does not cover your lost income or pain and suffering. Many boat insurance policies offer optional coverage for medical payments, which can be a great relief if you incur large medical bills. What if your passengers are injured? Insurance can help to make sure these loved ones and friends are not left to suffer from their injuries and incur large medical bills. Medical payment insurance and liability coverage ensure that you are being a good host who cares about the welfare of your passengers. Lastly, while uninsured boater insurance can be a bit pricey, it’s a value when you consider that a lot of operators do not carry insurance. If someone in a small craft strikes your vessel, injuring you and your family, don’t assume they will have the personal assets or insurance needed to cover your injuries. 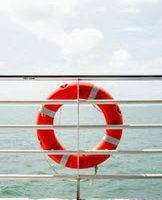 Uninsured boater insurance helps to protect you and those you love. Does Insurance Cover Me on the Open Seas? Yes. If you are several miles offshore and have an accident in international waters, many insurance policies will still cover the incident. But check first. If you have a larger vessel that you intend to operate in international waters, there are additional regulations and laws that may apply to you. Be sure to check with an experienced maritime lawyer for help making good practice decisions about operating a pleasure craft in international waters. If you or a loved one are seriously injured in Florida’s waterways or in international waters, do not assume that just any injury lawyer can help. Call Michael F. Guilford, P.A. 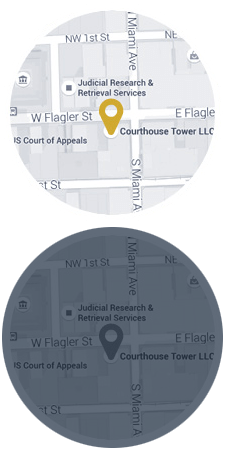 to schedule a free consultation with an experienced maritime injury lawyer who understands the complexities of federal and international admiralty law, as well as Florida’s unique laws pertaining to small craft. Our office never takes a fee unless we are able to help you recover compensation. Time limits can be very short for getting compensation for your injuries, so call today.